Posted November 6, 2009 in Jay Piscopo, The Demon, Thunderfoot. Jay Piscopo re-imagines Kirby’s unrealized concept Thunderfoot as an animated cartoon. 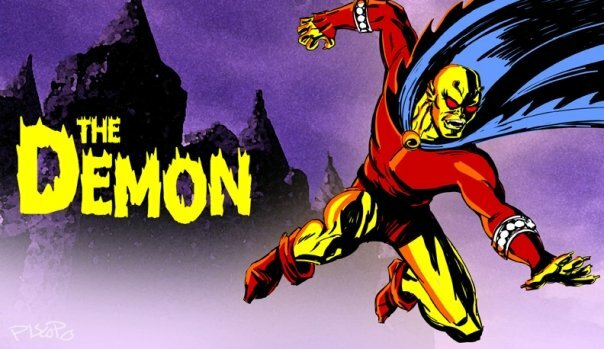 Jay also gives us this great image of The Demon which is reminiscent of a Hanna-Barbera title card. Etrigan vs. Scooby-Doo anyone?